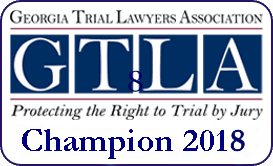 Civil litigation lawyers who get results. Our lawyers know what it takes to win when a civil litigation case goes to trial. 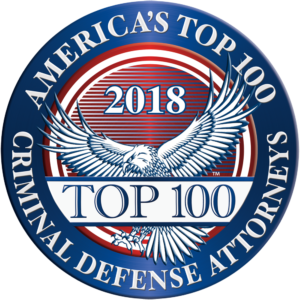 Our experience in trying difficult criminal cases gives our lawyers an advantage over civil attorneys who focus only on quick settlements and rarely, if ever, go to trial. Of course, most of our clients would prefer that their civil litigation case get resolved without the need for a jury trial. And that’s fine with us. In our experience, insurance companies and businesses will settle a case for its full value only if they think they may lose the case at trial. Our reputation in court, build over decades in winning serious criminal cases, makes civil defense lawyers nervous. Many times, they would rather pay us than risk losing big at trial. Our firm accepts only a handful of civil litigation cases at any one time. We limit our practice this way so we can devote all the resources, time, and attention necessary to prepare each case for trial. Unlike some civil lawyers who just want to accept the first offer and close the case, we will not quit until we have either won the case at trial or secured the best possible pretrial settlement for our client. If you need a lawyer who won’t try to settle your case for less than it’s worth, call us now for a free and confidential consultation. Even if you already have a lawyer, we can give you a second opinion about the value of your case and explain how we may be able to help you win. Helped our client and the federal government successfully conclude a whistleblower case against an import company that had been avoiding payment of anti-dumping duties. The defendant paid a total of $10.5 million to resolve our whistleblower claim. Helped a family recover $115,000 for injuries suffered by their child at a daycare as a result of the daycare staff’s failure to properly supervise the children. Successfully resolved a qui tam whistleblower lawsuit against a major U.S. furniture retailer involving allegations of customs fraud. The retailer paid the government a total of $15 million to settle the case before trial. Obtained a $4,910,000 IRS whistleblower award for a client who reported a company that engaged in illegal tax fraud. Helped a client win a $1.95 million whistleblower award for reporting Medicare fraud involving a radiology billing company. Won a $100,000 settlement for our clients who were the victims of an illegal search by police.